Grayslake Garage Door Repair & Installation | Overhead Garage Door, Inc. Residents of Grayslake are proud of their community’s rich historical heritage. If you’re a home or business owner in Grayslake, you know that maintaining your property is important to the overall feel of your neighborhood. If your garage door is damaged or worn down, don’t hesitate to call the professionals at Overhead Garage Door Inc. Being a certified dealer of Clopay Garage Doors means that Overhead Garage Door Inc. offers only the best quality products to the home and business owners of Grayslake. We are committed to exceeding your high expectations by giving you superior service at a great value. 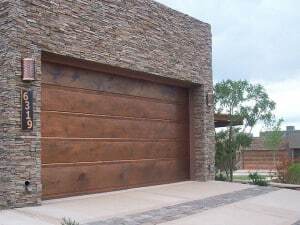 And because of our partnership with Clopay, we can provide an excellent selection of garage door styles that are not only functional, but also fully customized to your aesthetic taste and purpose. You’re going to be proud of the results. Our technicians have the experience and training needed to install any door or opener from our wide array of products. They will respond promptly to your call and make any repairs you need with knowledge and professionalism—at an affordable price. So when your garage door sustains any kind of damage, be it from weather, an accident, or wear and tear over time, call Overhead Garage Door Inc. Your satisfaction is our number-one priority, which is why we will arrive at your Grayslake property on time, assess the issue thoroughly, review every potential solution with you, and provide a complete estimate before beginning any repair work. We even offer emergency services, with technicians standing by to take your call anytime, 24/7. Product Lines: Grayslake property owners are encouraged to review our complete product line, which you’ll find listed below. Our aim is to help you achieve all of your home improvement goals. Let us help you with your garage door needs today, so that you can once again take pride in your Grayslake home or business. Pulling out of my Garage this morning, I was halfway out and there was a loud noise (broken spring I was told), and the door rolled down on to the top of my car. I have a one car garage and interestingly enough I couldn’t get either of my two doors open wide enough to get out. I wish I was nimble enough to climb out but that type of flexibility ended several years back for me. I searched on line in Grayslake for “emergency door repair” on my phone, and found Overhead and they said they had dispatch in my area. Surprisingly enough, they were here in 18 minutes (funny how you count minutes in a situation such as this). I have used them since and had to wait a little over an hour for my daughters house so I know they dropped everything to come and help that first day I needed them. They didn’t charge for the emergency, and were really great. I would have paid more and even offered to tip the garage door repair guy but he wouldn’t accept. They have since installed a genie garage door opener for us and then another time installed a key pad control for the big door. At my daughters house they put in a motion sensor to keep my grand kids safe! I have found a door guy for life. I just wanted to let you know that I recently had a problem and Nathan was the one to come out. I can’t say enough for this kid.He was an awesome representative of the company and has my door working better than it did when it was new. I hope you can find a way to reward him.